In the battle against tooth decay, your oral hygiene stands on the frontline to fight bacteria and accompany preventive dentistry. The two main practices that accomplish this are brushing and flossing your teeth, but there are supplemental activities that assist as well. One is the use of a mouthwash to rinse your oral cavity. But how can you choose the right kind? Furthermore, do the different types serve specific functions? Your Wethersfield dentist will answer these and other questions as you continue reading. What are the Different Uses of Mouthwash? Fluoride – This type of mouthwash provides added protection for your tooth enamel (the outer surface of your teeth) through a process called remineralization (the name of the chemical reaction that is the result of fluoride coating the enamel). Cosmetic – If you have bouts of bad breath and seek to mask it temporarily, a cosmetic mouthwash will suffice. Keep in mind, though, that it will not prevent tooth decay. Antiseptic – This type of mouthwash contains chlorhexidine gluconate, a chemical that stops the growth of bacteria. Your dentist may also prescribe this to address gum disease or chronic bad breath (halitosis). Natural (herbal) – This method will not include any chemicals, will be alcohol free and won’t contain any fluoride. It will deliver similar effects as a cosmetic mouthwash. Total care – This type of mouthwash will have an alcohol base and serves as an excellent preventive tool, as it contains anti-bacterial ingredients that help to reduce the build-up of plaque, prevent gum disease and freshen your breath. These are usually offered over-the counter. How Often Should You Use Your Mouthwash? 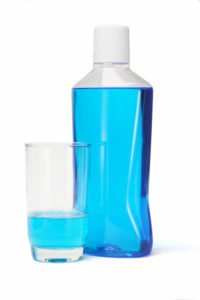 You should rinse with your mouthwash at least once a day to aid in the removal of bacteria and leftover food particles. In addition, it also helps to keep your mouth moist. If you are using a prescription type for serious conditions like gum disease, then follow the instructions of your local dentist as to how often to use it throughout the day. It’s important to keep in mind that every piece of your oral hygiene regimen fits together like a puzzle, so try not to skip any of the steps. Thus, brushing, flossing and rinsing with mouthwash each play a huge role in achieving the overall goal of maintaining healthy teeth and gums. To learn more about how you can enhance your oral health, just reach out to your dentist in Wethersfield today! A graduate of New York University College of Dentistry, Dr. Thomas C. Dolan has been practicing dentistry for over 30 years. Still, he maintains a thirst for learning, which is why he earned his fellowship and mastership in the Academy of General Dentistry, a status achieved by only six percent of dentists nationwide. In addition to caring for his patients, Dr. Dolan is an adjunct professor at UConn School of Dental Medicine in Farmington. He practices at Dolan Dental and can be reached for more information through his website.